A Pediatric Hematology Oncology Nurse (CPHON) is a member of the nursing profession with graduate-level expertise in the care of children and adolescents with blood disorders and cancer. The PHON specialty is involved in all aspects of the child’s care, from assessment to treatment. How Do You Become a Certified Clinical Nurse Specialist? You’ll need to take a certification exam from a recognized certifying body. For several areas of CNS expertise, the most widely recognized credentialing body is the Oncology Nursing Certification Corporation. They offer computer-based examinations at a number of locations around the United States. If you are 65 or older, discounts are available for the exam fee. After successfully taking the exam, you receive credentials as a Certified Pediatric Hematology Oncology Nurse (CPHON), which is renewable after a specified period. Who Is Eligible for the CPHON Certification Exam? You’ll need nursing credentials before applying for the exam. For instance, you’ll need a year or more of experience as a registered nurse (RN) within the three year period prior to applying for the exam, 1,000 hours or more as a pediatric oncology or hematology nurse within the 30-month period prior to applying for the exam, and 10 contract hours of continuing education in oncology at an accredited institution within the three years prior to apply for the exam. Since the score is based on how many questions are answered correctly, it is better to try to answer every question on the test. When finished, the raw score (the number answered correctly) is converted to a scaled score. Candidates must get a minimum scaled score of 55 to pass. If successful, candidates will get a certificate and wallet card to show their success. If unsuccessful, candidates may take the test again, up to three times in a year. If a candidate does not pass all three tries, he or she will have to wait a year before trying again in order to have time for further learning. Which of the following may be sites of extramedullary (nonhematolgic) leukemic infiltration? Which of the following drugs or procedures is most likely to be the initial treatment for immune thrombocytopenic purpura? Gadolinium is most often used with which of the following imaging types? Which of the following anti-infection drugs would be most proper for a gram-negative bacterial infection in a cancer patient with neutropenia? A: Wilm’s tumor represents about 6% of childhood cancers. It is usually diagnosed in children around 3-4 years of age. The usual presentation is an asymptomatic abdominal mass with few other clinical findings. Abdominal ultrasound with Doppler is the best initial diagnostic test. The tumor may spread locally or hematogenously to the liver or lungs. The preferred treatment is surgical excision, including nephrectomy, renal hilar structures, and partial ureterectomy, followed by chemotherapy with or without radiation therapy. The current cure rate exceeds 85%. The tumor may occur bilaterally in 5%-10% of patients. Metastatic carcinoma to the kidney is very rare in children, and there often will be evidence of a primary tumor. Pediatric renal cell carcinoma may present with an abdominal mass, but pain, hematuria, and constitutional symptoms are commoner as are distant metastases to the lung, liver, or bone. A renal cyst may also be a cause of an abdominal mass, but ultrasound findings should be diagnostic. D: Neuroblastoma is the commonest extracranial pediatric solid tumor, accounting for 8%-10% of childhood cancers. The tumor is rare in children over 10 years old. Metastatic disease is present in 75% of patients at the time of diagnosis. The commonest findings are masses in the neck, posterior mediastinum, or abdomen. Constitutional symptoms and weight loss over a period of months are often noted. The tumor arises from neural crest cells of the sympathetic nervous system, and urinary catecholamines are elevated in most cases. It also may secrete vaso- and neuroactive peptides that can lead to gastrointestinal or neurologic symptoms. Bone marrow aspiration and biopsy often detect metastatic disease, and radionuclide skeletal scintography can be helpful in staging. Localized disease may be surgically resected with good results or treated with radiation therapy if inoperable. Combination chemotherapy is the mainstay of treatment since the disease is most often widespread at the time of diagnosis. D: Leukemic infiltrates may occur in many organs and occasionally are the presenting clinical finding. Common sites are the liver, spleen, lymph nodes, and thymus. Testicular involvement is not unusual in acute lymphoblastic leukemia. Acute myelocytic leukemia may infiltrate the skin, oral cavity, head and neck area, or form myeloblastomas (chloromas) that resemble solid tumors and may be found in skin, soft tissue, bone, or other organs. Sometimes leukemia is asymptomatic and discovered on a routine blood count. The presence of leukemic cells or more than five white blood cells in the cerebrospinal fluid suggests central nervous system or meningeal involvement as does a cranial nerve palsy. This may result in a relapse from this location, and intrathecal chemotherapy is required. C: Common side effects of asparaginase therapy include fever, chills, nausea, vomiting, and allergic reactions, which may occur in over 30% of patients receiving the drug. It is very important to monitor the patient for an allergic reaction, such as wheezing, itching, rash, face swelling, or low blood pressure. Many authorities recommend giving a small test dose initially to screen for a possible allergic reaction. Additional common side effects of the drug are poor appetite, stomach cramping, and central nervous system signs, such as sleepiness, depression, hallucinations, disorientation, or seizures. Stupor and coma are less common. Interference with blood clotting may occur but is rare. Mouth sores, pancreatitis, abnormal liver function, and elevated plasma glucose may occur but are less frequent. A: Immune thrombocytopenia is a disease of decreased platelets, often idiopathic in origin (hence the alternate name idiopathic thrombocytopenic purpura). It is often a relatively benign disease in children and may follow a viral infection or drugs, such as quinidine or sulfonamides. It is sometimes associated with systemic lupus erythematosus. It usually presents with skin bruising or petechiae and bleeding from mucosal surfaces, such as epistaxis, oral or gingival bleeding, hematuria, gastrointestinal bleeding, or menorrhagia in adolescent females. Intracranial hemorrhage is rare. Sometimes there is no bleeding, and the disease is discovered on a routine blood count. Steroids, such as prednisone, are used for the initial treatment because of their anti-immune properties. In refractory cases, splenectomy (the spleen is the main site of platelet destruction), intravenous immunoglobulin, or antineoplastic drugs may be tried. Platelet transfusions are rarely required and may not even be effective. A: While treatment results for limited stage non-Hodgkin’s lymphoma in children have been excellent (85%-95%), long-term sequelae remain a problem. These include anthracycline-induced cardiomyopathy, sterility, and second malignancies. Chemotherapy protocols often use cyclophosphamide, hydroxydaunorubicin, vincristine, and prednisone for 3 weeks followed by 24 weeks of chemotherapy with 6-mercaptopurine and low-dose methotrexate or radiation therapy to the areas involved with tumor. Except for patients with lymphoblastic lymphoma, the continuation phase may be eliminated without compromising results. It is hoped that the long-term complications for these patients will be reduced. For the limited disease in lymphoblastic lymphoma patients, trials are underway using similar regimens to those for advanced disease (stages III-IV) or for lymphoblastic leukemia. A: Gadolinium is a rare earth element (Gd) with atomic number 64. Because of its paramagnetic properties, solutions of organic Gd compounds are often used as contrast agents in magnetic resonance imaging, especially if a brain or spinal cord tumor is suspected. Computed tomography scans also use different contrast agents that may be given orally, intravenously, or even rectally, depending on the area being studied. The image planes are then assembled and organized by the computer. Bone scanning uses a radioactive, bone-seeking compound that may disclose areas of osteolytic or osteoblastic activity consistent with a malignant tumor. Positron emission tomography employs isotopic 18-fluorodeoxyglucose, which can produce images of metabolic activity. It is quite valuable in determining the sites of tissue necrosis and metastatic disease in lymphomas, bone tumors, and neuroblastoma among many others. C: Tacrolimus is an immunosuppressant that inhibits T-cell activation and has been used for the prevention or treatment of graft-versus-host disease. Biological response modifiers are agents that modify the immune system to enhance the elimination of tumor cells. These may include: monoclonal antibodies, such as infliximab, which has been used for B-cell lymphomas and acute lymphoblastic leukemia; cytokines, such as interferon, which have a direct antiproliferative effect; interleukins, which may modify immune-cell signaling; and tyrosine kinase inhibitors, such as imatinib, which block cellular phosphorylation and inhibit cellular transduction pathways in tumor cells. Vaccines are also in this category although they have thus far been used mostly for cancer prevention (e.g., human papillomavirus quadrivalent for the prevention of cervical cancer), but several are under development for therapy. A: Broviac and Hickman catheters should be flushed with 3-5 mL containing10-100 units/mL of heparin one to three times daily. This should be done using positive pressure to rid the line of tiny clots. Groshong catheters do not require daily heparin flushing, and saline may be used. Heparin flushes should be carried out at least twice a month with this type catheter. Internal ports may be flushed with 10-100 units of heparin, or if it is to be reaccessed, 5 mL of 100 units/mL of heparin should be used. It is critical that the nurse is certain of the correct dose of heparin to be used for flushing; there have been several highly publicized reports recently of overdoses in infants with dire consequences. A: Gram-negative skin and mucous membrane bacterial infections are less common than gram-positive infections and should be treated with an antipseudomonal drug. This is a fairly common organism that infects cancer patients undergoing chemotherapy, especially those with severe neutropenia (absolute neutrophil counts < 500 cells/mm3). Piperacillin is an antipseudomonal penicillin that is bactericidal against several gram-negative as well as aerobic and anaerobic gram-positive bacilli. It may be combined with other antibiotics if there is uncertainty about the infecting bacterium. Other extended-spectrum drugs in this category are nafcillin and ticarcillin; they are more resistant to beta-lactamase produced by some gram-negative bacteria. Amphotericin is an antifungal drug. Clindamycin, often used in penicillin-allergic patients, is mostly useful against gram-positive organisms, such as Streptococci and Staphylococci. Acyclovir is an antiviral drug that is most useful in herpes simplex or herpes zoster infections. Ace the CPHON test using our CPHON exam study guide with practice questions. 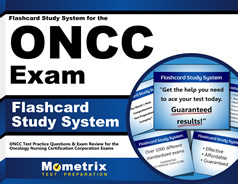 Quickly Solve Difficult CPHON Test Questions with the CPHON Flashcard Study System.